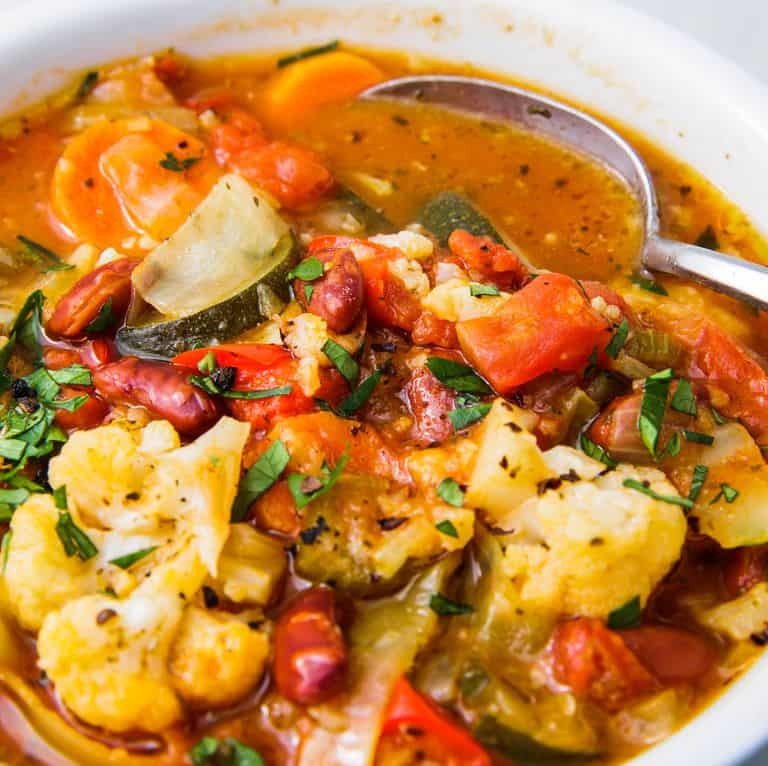 This vegetable soup is loaded with cabbage, cauliflower, bell pepper, and zucchini, a healthy way to warm up the day. People in a ketogenic diet will love this. It’s so simple to make in your instant pot. Read below to find out how to prepare this delicious soup. Set Instant Pot to “Sauté” and add oil, onion, and garlic. Season generously with salt and pepper. Cook, stirring occasionally, until onion softens, 5 minutes. Add tomato paste and cook for 1 minute while stirring. Add the rest of the ingredients and mix. Close the lid and allow the machine to cook at high pressure for 12 minutes. When finished, slowly turn the steam valve to the vent position to release the pressure. Garnish with parsley and a drizzle of olive oil before serving.